Hi everyone! If we've been friends for a while, you know by now that Lawn Fawn is one of my favorite companies ever. I love their stamps, dies, patterned papers, inks...really they can do no wrong in my book. ;) When I spend money on crafting supplies, it's a pretty good bet that something new from Lawn Fawn is in my cart. So imagine my excitement when I found out that the CardMaker Blog team would be doing a blog hop with Lawn Fawn! And for Valentine's Day? I LOVE making Valentines. I used the Heart Swatch stamp and die and some 2nd and 3rd generation stamping to make the heart backgrounds. I also put made a little gift card holder using the Lawn Fawn Stitched Heart Envelope. I tied tulle around the envelope to keep it closed and then layered the little tag on top. A tulle bow always looks special doesn't it? 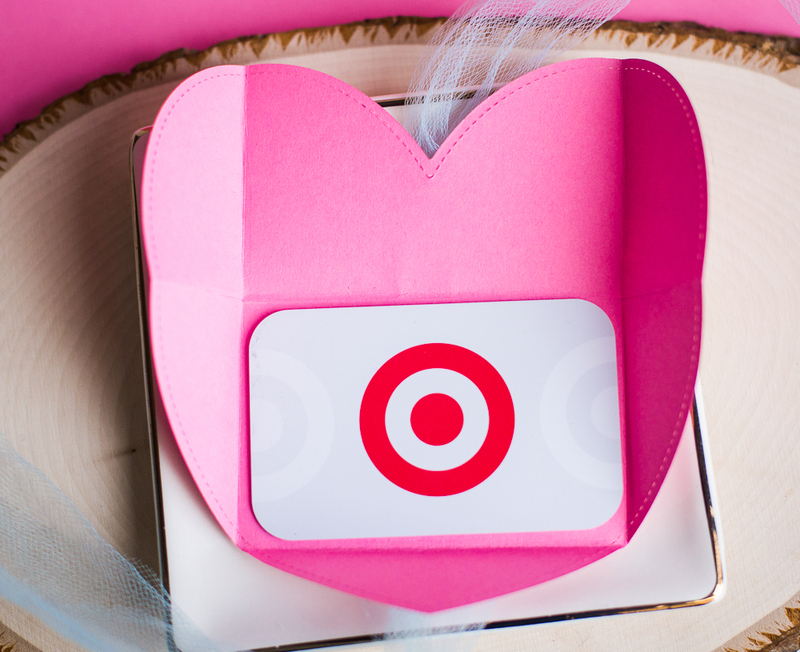 The best part is that a gift card fits perfectly inside! The next stop on the hop is the talented Heather Hoffman! If you get lost along the way, just head back to the CardMaker Blog where all the hop participants will be listed! WOW! I think your cards are beautiful! I also enjoyed your video! Thank you for the great ideas! The colors you used are so bright and cheery. Love your cards. Lovely designs! Perfect gift card holder idea too, TFS! So soft and sweet. Love the design. Very cute! Oh my goodness!!! Such adorable cutie projects!!! I love these! I haven't done generation stamping in awhile so it's nice to be inspired again! TFS! Oh my goodness, these are fantastic!! Love them! Nice! I really love the stitched heart stackables! Your cards are really sweet, fantastic backgrounds. too cute! Love the card! Love the colors! Those little birds are so sweet...your card is darling. Thank you. WOW your projects are fabulous and love the colors! i love the plaid. Absolutely adorable. The gift card holder is so cute. So cute! Are they on Twitter? Wow so cute and fun. Such sweet (or should I say 'tweet'?) cards and envelope... love the papers and colors! Lots of fun details! Love what you did with the cards and the the tulle to pull it all together. It's really pretty. What great cards! Love your texting birdies, they are a hoot! The tulle on the valentine envelope is gorgeous! Such darling cards!!! Love the yummy colors! Very cute cards, love the first one. Rebecca, your cards are just adorable! I have adult children that I love to send fun messages to, and your inspiration is so perfect for just that!! Your design and fun LF images just bring smiles! 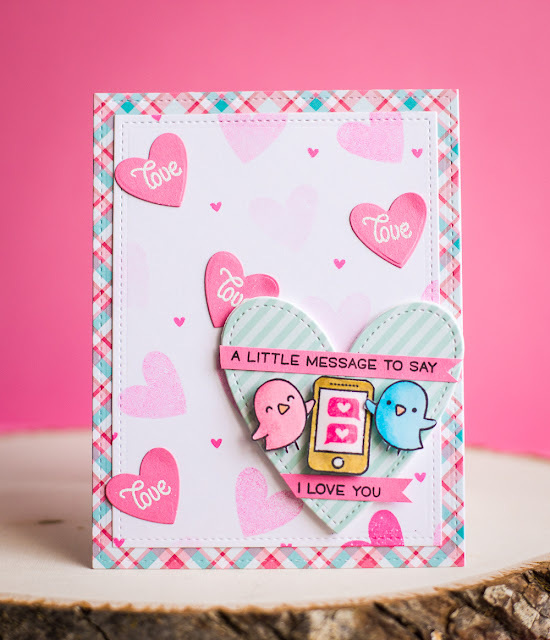 Fabulous video and great tips for second and third generation stamping, and the use of foam to pop that stitched heart! Gotta get these LF sets! TFS! 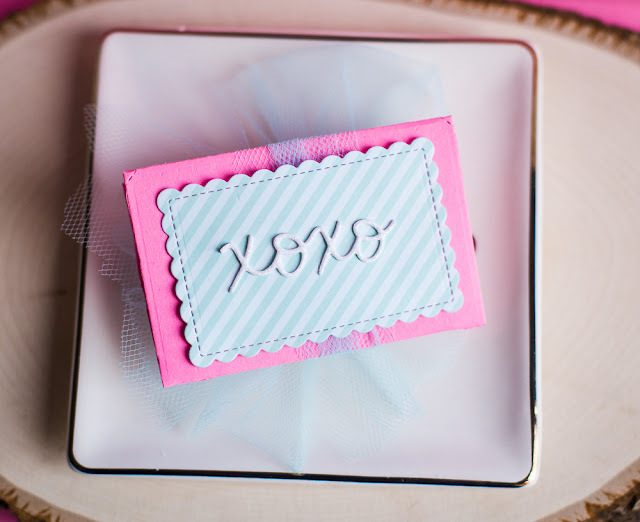 Such adorable cards - love the bright colors you used!! on the first two cards. the big bow of netting is a fun idea. Great and adorable cards, with nice colors. Thx for the great ideas! Awesome Cards...Adorable...!! Love...!! Loved the Video...and Great Technique...!! Wonderful cards! I would not have thought to use tulle like you did. 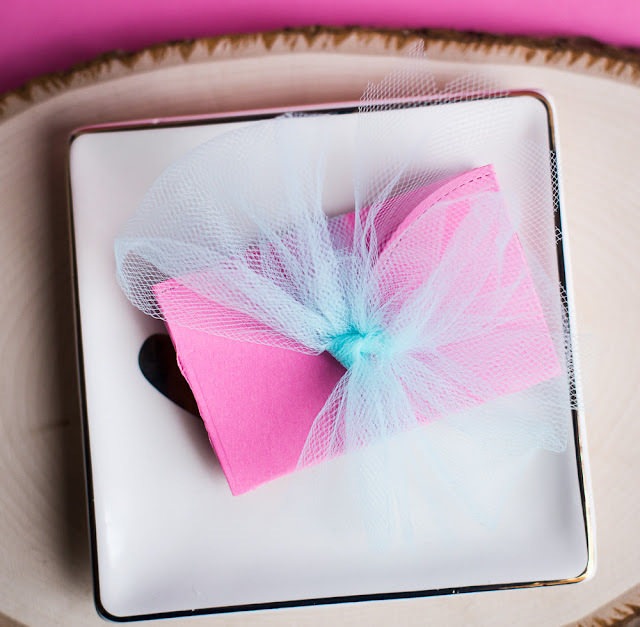 Just love the pink and turquoise color combo on that adorable birdy card! I love what you did with the Lawn Fawn products, especially the patterned paper. Makes my heart sing, Rebecca. 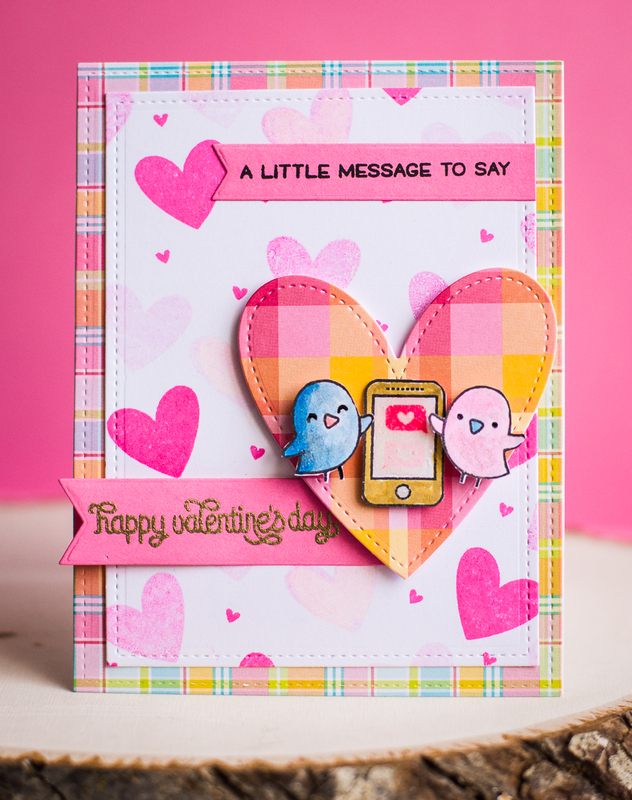 Love the card with the birds and the cell phone. So cute! Awww I like love that they're sending love text messaging!! You've been busy and these are so cute! These are such cute cards...love the texting set. I too love all things Lawn Fawn!!! So excited about the new release! Love your cards! Lawn Fawn is my favorite too! Love your card! Thanks for the inspiration! Sweet cards! I like your use of tulle with the second one especially. I <3 this set! Soooo cute! Thank you for showing me the 2nd and 3rd generation technique! Love learning new things for cardmaking! So many many great ideas!